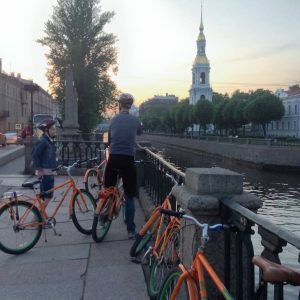 Sign up for the Weekend Bike Tour (every Sat and Sun 11:00 am, mid-May through September) or the White Night Bike Tour (every Tue and Thu 22:30, in June-August). All scheduled bicycle tours start and finish at Berthold Centre. 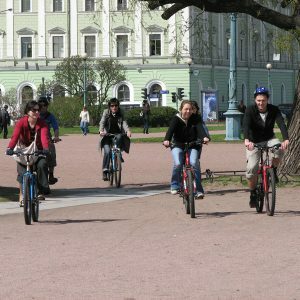 Or contact us for a private, custom-made bicycle tour. We will deliver the bikes to your hotel upon request too. info@peterswalk.com.